This has been one hot summer. With no signs of a cool down in sight, I have found a great way to stay cool - iced coffee. I love iced coffee even in the dead of winter but it has an even better taste when it's 99° outside. One of the first blogs I fell in love with was The Pioneer Woman. If you haven't browsed her sight - you are missing out! 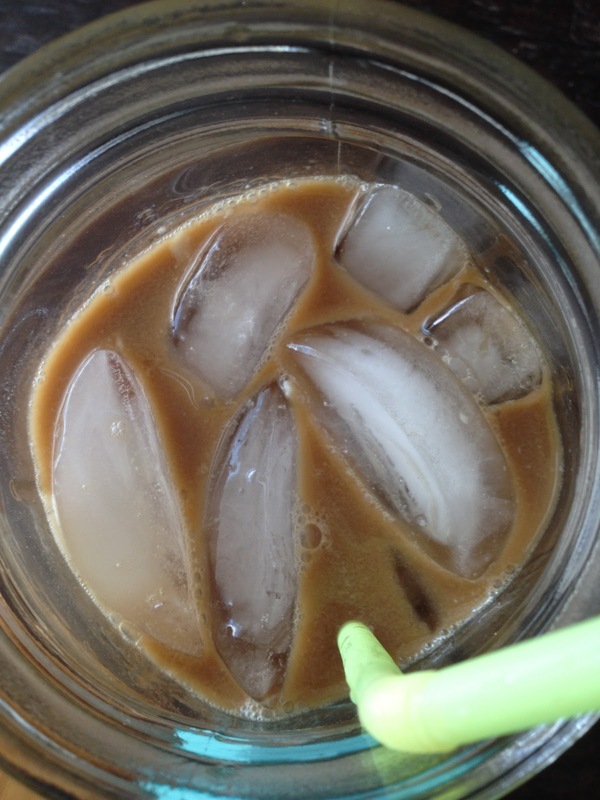 The blogger, Ree, has shared what she calls the Perfect Iced Coffee. Could it really be perfect? I am never afraid of a challenge, so of course I tested her theory. Ree uses a steeping method, rather than brewing and cooling. Before I could begin steeping I had to determine what container I would be storing the coffee. 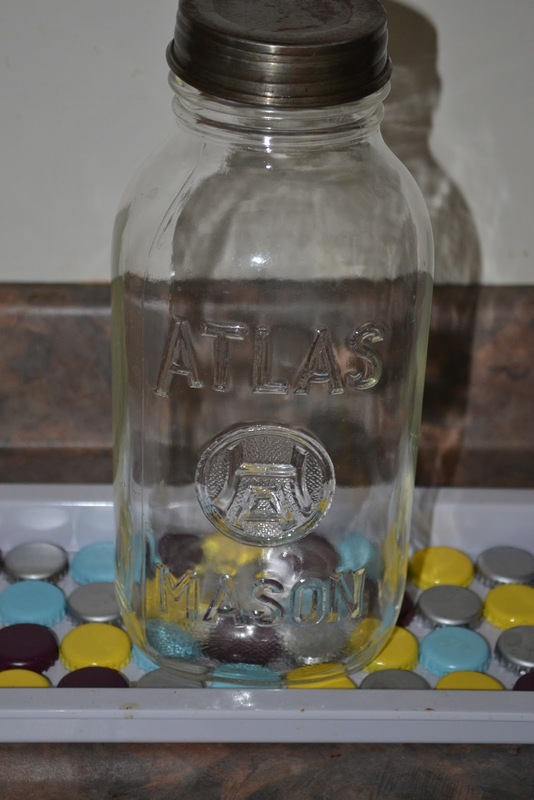 I chose this awesome mason jar that I scored in a cute antique shop in North Carolina. I filled the jar with water and poured it into a larger container. This isn't the exact container that Ree recommended - but it's all I had. Next I poured in the coffee grounds and gave it a stir. Next, I let the coffee steep for around 12 hours. I forgot to pick up a cheesecloth at the store so using coffee filters, I transferred the steeped coffee to the mason jar. I lost a huge amount of coffee as I managed to pour the steeped coffee everywhere but into the mason jar. I popped the mason jar into the fridge to begin the chilling process. Even though I made a huge mess in the kitchen I was able to get wonderfully iced coffee the next morning. My favorite coffee combo is a splash of vanilla creamer with about two tablespoons of coconut milk. I think Ree was right, this is perfectly iced coffee. It has a better flavor than the brewed than chilled version, and call me crazy, but it feels like it has a higher concentration of caffeine. If you like iced coffee - I would highly recommend this method! Don't forget to 'LIKE' the Kiss My Smash Facebook page, follow me on twitter @KissMySmash, and follow me on Instagram @KissMySmash.